An exhibition has opened in Birmingham which is then going on the longest-ever art world tour, ending back in Birmingham on 28 April 2025 – if the artist does not die beforehand, as the publicity materials dryly state. 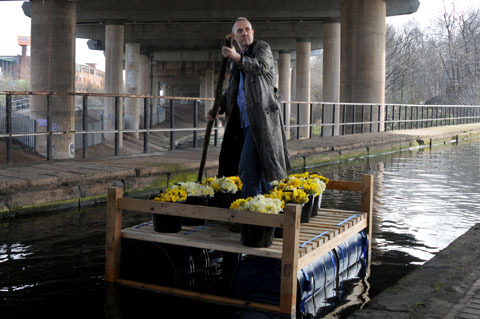 Bill Drummond is 60, and his name to me and others of a certain age will always be synonymous with a bunch of KLF hit records of the late 1980s and early 1990s, 3am Eternal, Justified and Ancient and others from The White Room, classics of their time. But Drummond’s life since then has become almost an eternal art performance, and this exhibition which stays in Birmingham until June 14 will see him taking part in many strange acts involving people around the city. Taking a walk as an artistic act is explored in a new exhibition which is full of varied works from the last few decades. Exhibitions can be like buses – you wait ages for something then two come along at once. Walk On at the mac in Birmingham is billed as the first exhibition to “examine the astonishingly varied ways in which artists since the 1960s have undertaken a seemingly universal act – that of taking a walk – as their means to create new types of art”. 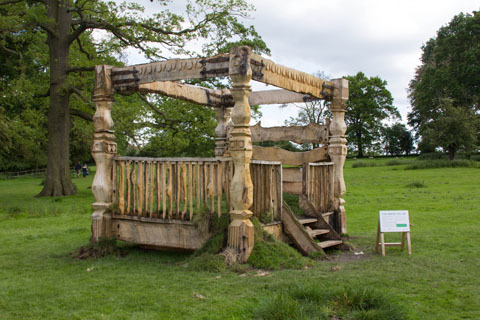 The current exhibition at the Mead at the Warwick Arts Centre in Coventry is described as the most comprehensive exhibition of British land art ever. In truth, there’s a lot of pieces which could fit in either exhibition, but the good thing is it means there’s a chance to really immersive yourself in artworks created from this outdoors perspective. The mac exhibition fills the upstairs gallery, and pieces are dotted around downstairs, with some on TVs easy to miss in the entrance area. The past few decades are full of examples of people who looked good, and died young, becoming a legend and an icon. 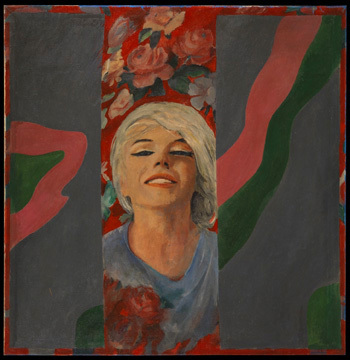 Unfortunately her tragically-early death did not do this to the artist Pauline Boty, but an exhibition and book are likely to bring her the lasting fame she deserved. Pauline Boty, Pop Artist and Woman are the title of the exhibition at Wolverhampton Art Gallery, and the accompanying book by the exhibition’s co-curator Sue Tate. Both tell Boty’s story but more than that, place her in the 60s world which she seemed to revel in, and also examine her role as a woman artist, and what that meant at the time. Tate’s book includes many images but is scholarly in approach, coming firmly from a gender analysis perspective which is refreshing. Four Coventry University graduates are showing work in top Birmingham art galleries as part of the New Art West Midlands initiative. They are among 22 recent graduates chosen from West Midlands university art schools for the exhibition. 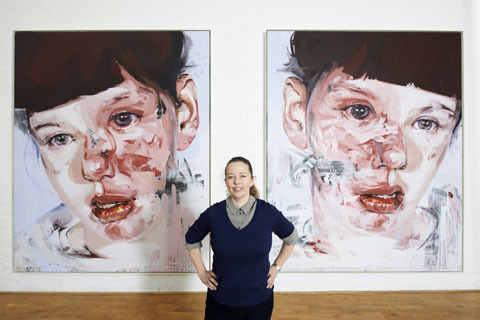 Jenny Saville’s name belongs with the other YBAs of the 1990s, but she has waited longer to have her first UK solo exhibition. While Damien Hirst has a retrospective this summer at Tate Modern and Tracey Emin had one last year at the Hayward and is now showing in Tate Margate, Saville’s show is in the cosier surroundings of Modern Art Oxford, in the city where she has her studio. 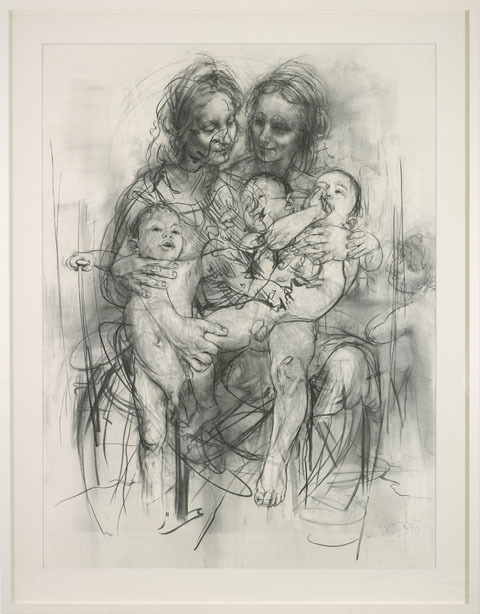 The exhibition includes works from the 1990s until the present – with one being finished just the day before the exhibition opened, and another being framed and hung in the gallery on the press preview day. There is a Place…. where you can find works by six artists in a thematic show which brings together some great scenes of urban emptiness. 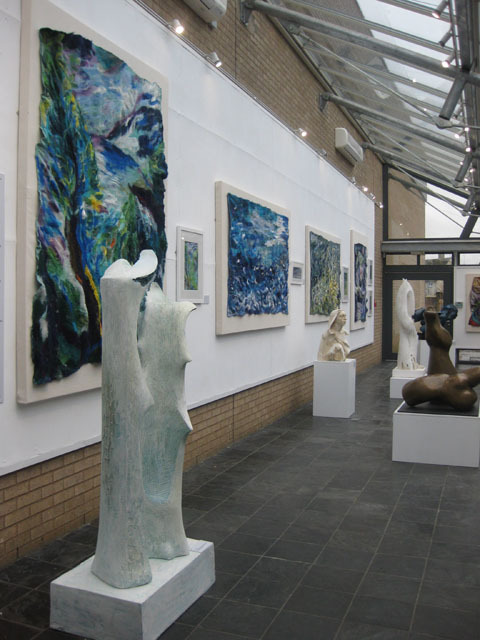 The New Art Gallery at Walsall is showing There is a Place…until April 14, and it’s a place well worth visiting. Coventry-born George Shaw contributes both Humbrol-painted paintings, and more unusually, etchings, of Tile Hill. There’s a huge pile of rubble behind a fence, showing the end of a pub where his mother apparently once worked, and another empty space, and in The End of Time, a path leading to where a pub building once stood. 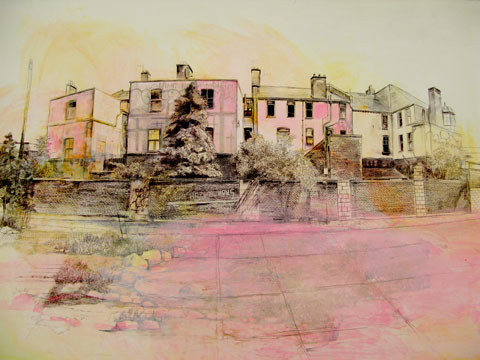 The 12 short walks are etchings of scenes from around the area, showing scenes that are becoming familiar if you’ve seen more of his paintings and watercolours – garages, bleak paths, but green tree-filled areas too, and poignantly fence posts with no fence in between. They’re small, detailed and show his versatility.